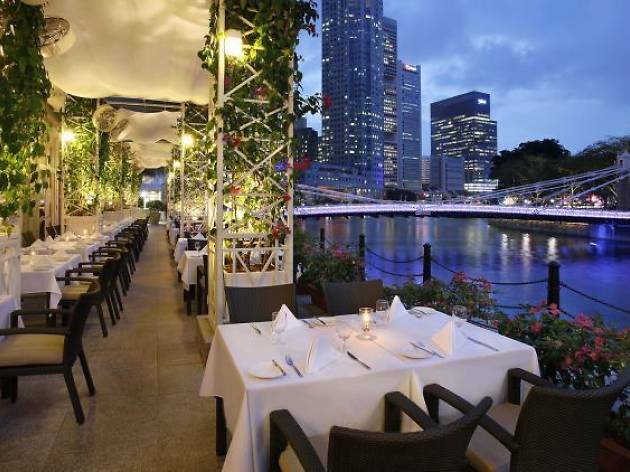 As the name suggests, Town Restaurant is located right in the middle of ‘town’ on the ground floor of the charmingly luxurious Fullerton Hotel. 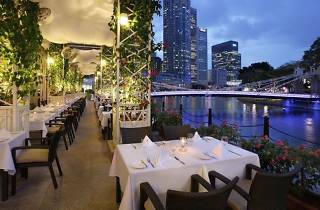 Its exquisitely furnished buffet serves up an excellent array of international dishes for any time of the day, and you get to enjoy a peaceful view of the Singapore River while tucking into their renowned seafood dishes. Among their Asian delights and Western offerings, specialties that stand out include local delicacies like Town laksa, Fullerton’s Hainanese chicken rice, fish curry and nasi goreng. The buffet spread varies from day to day, from seafood dinners to afternoon tea delights to international dishes for lunch, so be sure to check out what’s offered on different days.